Mulching your garden can help protect it against winter damage. This article covers how and why to apply winter mulch. Gardeners utilize mulch in the landscape for a variety of reasons. Mulch helps retain soil moisture, decreases weeds, reduces erosion, helps cool plant roots, adds organic matter (provided organic mulch is used), increases the attractiveness of the landscape, and protects plants from adverse winter conditions. This article will teach you to utilize mulch to help winterize your garden. Winter mulch has dual purposes. First, winter mulch is meant to keep the soil temperature from fluctuating widely. In much of the country winter has periodic warm spells. If soil temperature during these times warms enough to begin plant growth it is likely that the plants would be harmed or killed by the next period of cold. A good layer of mulch will keep the soil frozen even during periodic winter warm spells. A more even soil temperature will also reduce the incidence of heaving. Heaving is when alternate cycles of heat and cold cause a plant to be pushed out of the soil. The second purpose of winter mulch is to keep very cold temperatures from harming plants. 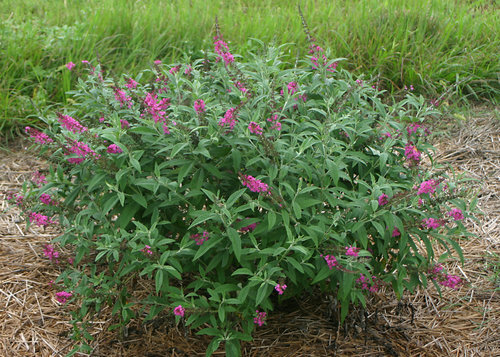 We all have a tendency to want to grow plants that are marginally hardy for our area. A layer of mulch is especially important for these plants and can mean the difference between life and death. We have already established that mulch is meant to keep the ground uniformly cold. The mulch is to help keep plants dormant not warm. It is therefore important when applying winter mulch to wait for the ground to freeze and temperatures to consistently remain below freezing before using winter mulch. If mulch is applied too early it can increase incidence of disease by keeping the soil warm and moist too long. Not all plants need a layer of winter mulch in fact you can be selective when choosing which plants to mulch. 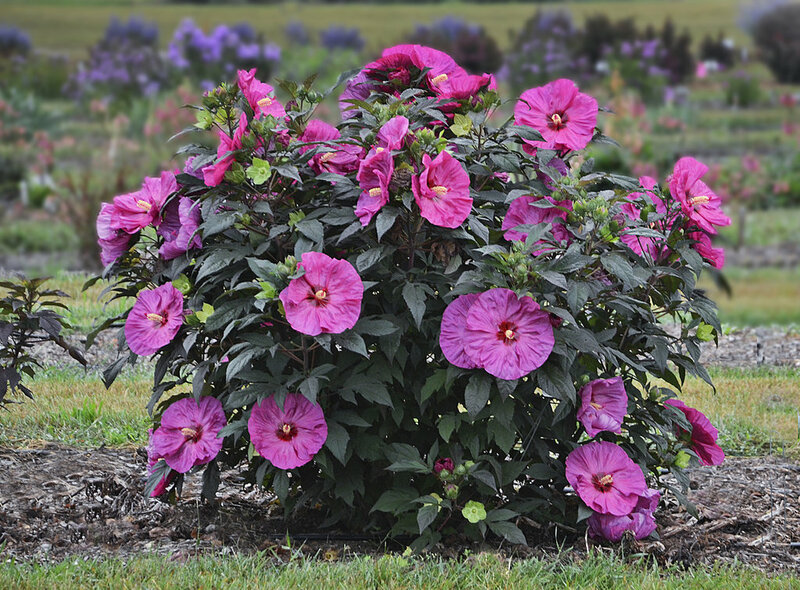 Annuals do not need to be mulched, however, to guard against disease you should remove old plant material and compost it once the season is over. Several categories of Perennials should be mulched including any plants that are at the edge of their hardiness zone, newly planted perennials and plants with shallow root systems that might be damaged by heaving. Roses and some evergreens, trees, and shrubs should also be mulched. Now that you have decided what plants need to be mulched you need to choose the type of mulch to use and the thickness it needs to be applied. In general mulch should be applied 2 to 4 inches deep with care given around trees and shrubs not to get too close the plant stem. Mulching right up to a tree stem can encourage rodents to chew on the tree bark which in turn leaves the plant more susceptible to disease. Perennials should be covered by the mulch. There are a multitude of mulches available. Winter mulches commonly consist of straw, hay, pine needles, and bark or wood chips. It is important when choosing winter mulch to ensure that there will be airflow to the plants below the mulch. An easily compacted mulch like soft leaves (i.e. Maple), fine sawdust, or grass clippings can suffocate plants. Mulch can be expensive, so cost will factor into your decision. Costs will vary with local availability. In some areas, local materials such as pecan hulls may be available. Some areas have mulch available at little or not cost through city or county agencies such as the Parks Department. Contact your local agencies or Extension Agent to check if there is a program near you. Once the weather begins to warm in the spring you will need to gradually remove the layer of mulch from Perennials to allow new spring growth to emerge. Make sure you don’t remove mulch prematurely as this can allow frost damage to tender plants. For more information on mulching please check with your local Extension Office. Extension agents can help answer any specific questions you might have. Information on mulching can also be found on the web. Search using the term “winter mulch”. My husband and I are getting a garden constructed in our yard, and we've been planning out the landscaping, but forgot the mulching. We don't know much about working with plants, so I'm really glad that we found out, as you said, that we need to wait for the ground to freeze and remain frozen before we apply mulch. It's also good to know that not all plants need mulch, and we'll make sure to talk to a professional about what mulch we need and what plants need it.